Need an inspiring movie quote to post on your mirror or for your next selfie caption on Instagram? Look no further! We have 20 of the most inspirational movie quotes to choose from, from all of your favorite movie genres. In addition to quotes from your favorite inspiring sports movies, we've also included movie quotes about life from biopics, Disney movies, and even a few science and technology-themed movies. Here are the 20 most inspirational movie quotes of 2019. This quote comes from a scene in which the main character, Christopher Gardner, imparts a bit of fatherly advice to his young son, Christopher, Jr. The advice is the crux of the movie, as it's the story of a man who works to provide for his son and protect his own dreams in the midst of many obstacles and struggles. 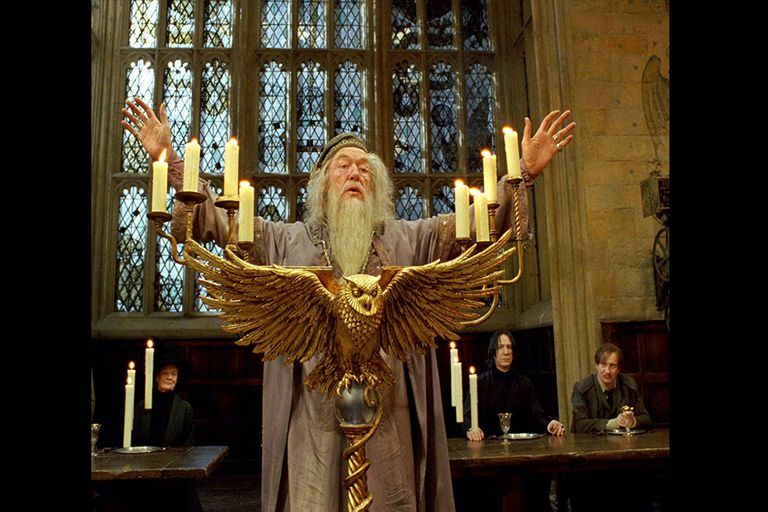 Professor Albus Dumbledore: But you know happiness can be found even in the darkest of times, when one only remembers to turn on the light. It can be difficult to try to see the lighter, more positive side of a dark situation, but it's important to try to look for it anyway. Your happiness depends on it. Mulan struggles with fitting into her family's and society's expectations of her. And yet, it was through flouting those expectations and putting herself right smack in the middle of adversity that she discovers herself and finds her confidence. And it's within that strong sense of self that her true beauty blooms. It's true. Sometimes the bad times in which you struggle are the very moments that force you into something better or force you to at least see your life differently. Stephen Hawking: There should be no boundaries to human endeavor. We are all different. However bad life may seem, there is always something you can do, and succeed at. While there's life, there is hope. This is one of the best movie quotes about life. The existence of life itself is all about hope and possibility, and Stephen Hawking's life is a testament to that. No matter how difficult things got for him, he still found ways to accomplish his goals and dreams. Dory: Well, I don't think we did. And that's because the best things happen by chance. Because that's life. And that's you being with me out in the ocean, not safe in some stupid glass box. Life is also all about surprises. You can't plan for everything. And trying to stay safe all the time doesn't work either. Dory was an adorable character in Finding Nemo and she was responsible for one of that movie's best life lessons: Just keep swimming. And now, even in her own movie, she keeps teaching us: The best things happen by chance. Maximus: Nothing happens to anyone that he is not fitted by nature to bear. You've got this. Most of the time, the challenges you face are those you were already built to handle. Grandmother Willow: Young man, sometimes the right path is not the easiest one. Grandmother Willow says this to John Smith in the movie Pocahontas, but it's applicable to you as well. Just because your dreams seem impossible doesn't mean they are. And just because your path is difficult doesn't mean you're on the wrong one. Trevor McKinney: I think some people are too scared, or something. I guess it's hard for people who are so used to things the way they are - even if they're bad - to change. 'Cause they kind of give up. And when they do, everybody kind of loses. Don't give up. Yes, it's probably easier to stay stuck where you are. But if you step out of your comfort zone, even when you're scared, you'll be a lot happier. And happier people are better at helping others. Rocky: You, me, or nobody is gonna hit as hard as life. But it ain't about how hard you hit. It's about how hard you can get hit and keep moving forward. How much you can take and keep moving forward. That's how winning is done! Keep moving forward. If you get knocked down, don't stay down. Get back up and keep moving forward. Even little steps forward in the face of adversity are better than no steps at all. Diana Prince: I've touched the darkness that lives in between the light. Seen the worst of this world, and the best. Seen the terrible things men do to each other in the name of hatred, and the lengths they'll go to for love. Now I know. Only love can save this world. So I stay. I fight, and I give... for the world I know can be. This is my mission, now. Forever. The movie Wonder Woman is a great origin story for the iconic superhero. Plus, it shows that no matter what darkness Wonder Woman goes through, love for her fellow man is what ultimately pulls her through. Love saves her and inspires her to keep saving the world. Gandalf: All we have to decide is what to do with the time that is given to us. Gandalf says this after Frodo complains and wishes he'd never encountered the ring. And it's good advice: You can't control what happens to you. All you can do is play the cards you've been dealt. Hope is what keeps Andy alive throughout his stint in prison. Sheer hope. Hope and his friendship with his fellow inmate Red. Being able to maintain hope is a survival skill. Pi Patel: Doubt is useful, it keeps faith a living thing. After all, you cannot know the strength of your faith until it is tested. Doubt is a part of faith. It's not the enemy of faith. In Life of Pi, Pi Patel's faith is tested over and over again. And he learns that being able to keep faith in the face of doubt only strengthens faith. Christopher Morcom: Sometimes, it's the very people who no one imagines anything of who do the things no one can imagine. Don't count yourself out. Even if you don't feel amazing (or even accepted), you're still capable of amazing things. T'Challa: We will work to be an example of how we, as brothers and sisters on this earth, should treat each other. Now, more than ever, the illusions of division threaten our very existence. We all know the truth: more connects us than separates us. But in times of crisis the wise build bridges, while the foolish build barriers. We must find a way to look after one another, as if we were one single tribe. Being united is much more powerful than being divided. This is especially the case in times of crisis. This quote from T'Challa is an important reminder of the value of overcoming our differences to work together towards a common goal. Jimmy Dugan is the least inspiring character on this list, but it doesn't make what he said any less true. The best goals and dreams to pursue are the hard ones, the difficult ones. And they're the most satisfying once you do reach them. Michael Oher: ​But honor, that's the real reason you either do something or you don't. It's who you are and maybe who you want to be. If you die trying for something important, then you have both honor and courage, and that's pretty good. I think that's what the writer was saying, that you should hope for courage and try for honor. And maybe even pray that the people telling you what to do have some, too. Courage is a tool but honor is what you should strive for. Honor is a value. Courage can help you pursue honor. Angus: Did you take your pills this morning? Grandpa: You don't understand. He's smart, handsome, even decent. But he's not brave. No, listen to me. Superman is indestructible, and you can't be brave if you're indestructible. It's people like you and your mother. People who are different, and can be crushed and know it. Yet they keep on going out there every time. If you're a fan of Superman, this quote probably isn't for you. But if you're looking for everyday heroes, this is perfect. The brave aren't the ones with superpowers. Brave people are the ones like Angus, who, despite knowing he'll be bullied at school about his weight, still gets up and goes to school anyway. The movie Forrest Gump is full of little nuggets of advice like this one. The whole movie is about Forrest's past and how he's survived all of his obstacles. And he's survived, partly, because he's able to move on from his past better than most people to fully embrace his present.